A Twitter reader by the name of RavenWorks asked a question a while back about a line in the first Suikoden game for the PlayStation. The truth is, Master Neclord has.. The truth is, Master Neclord is.. Either way, I’m not really sure why the official translation wound up the way it did – it doesn’t even seem to be a proper sentence! My instinct tells me that maybe the translator thought the Japanese term, でべそ, was just some nonsense baby sound or something like that. I imagine that if you weren’t familiar with the term it might look that way, but that’s just my best guess. Anyway, hopefully that helps solve the mystery of the jerk info zombie in Neclord’s Castle! And although I doubt I’ll have the time for it until I’m 80, just playing a few minutes of Suikoden like this has really piqued my interest. I always heard great things about it back in the 90s but never got around to it. I need to hurry up and retire so I can play all these games! If you liked what I've covered here and know any fellow Suikoden fans, I hope you'll tell them about it. Thanks for your help! Since the でべそ insult really isn’t known outside of Japan, though, I changed it to the kid saying “Your dad has a hairy back!”, since back hair isn’t exactly considered attractive. I think it worked well enough. Interesting indeed. I was curious about that since I’ve replayed Suikoden I quite often, but Suikoden I and II don’t exactly have the most stellar translations, so stuff like this pops up almost often when you read through the script. It’s weird; both games’ scripts look fine for a good chunk of the plot’s first couple of chapters, but after a certain point, it falls apart and starts reading rather akin to someone who only took a few months of Japanese. Suiko II is so bad that it even has untranslated Japanese left in the NA version and because the NA version can’t read those characters, it turns the dialogue windows into utter gibberish. It even happens right after you defeat the final boss, which is really sad. But trust me, they’re both amazing games. Suiko II has quite possibly the best written story in a JRPG to date, which is one of many reasons why the game goes for over $150-200 on auction and online shopping sites. Suiko I was put on PSN thankfully, so that’s one way for those who missed out on it to try it. That horrendous NA cover art was the last time they ever decided to do crap like that. Sadly the Suiko series, as you may have heard, has gone by the wayside due to the development team being disbanded a couple years back. Wasn’t Tierkreis kind of a poor seller? Least of all in the states. I think it even did kind of poorly in Japan as well. Pity all of it. I really liked V.
Indeed that one was even worse than Suikoden IV. I’m not sure why they decided to make a crappy gaiden game in another dimension but thankfully V somewhat saved the series. Of course the Thousand Year Tapestry on PSP happened and churned out mediocre sales. Safe to say the series is dead. III was okay, not horrible but not amazing either. At least it had the Lizard Clan. Good thing that only happens with out-of-the-way NPCs, not important dialogue. In my playthrough, I’ve encountered it not a single time. More annoying are the war battle themes that were inexplicably removed. That would be incorrect. 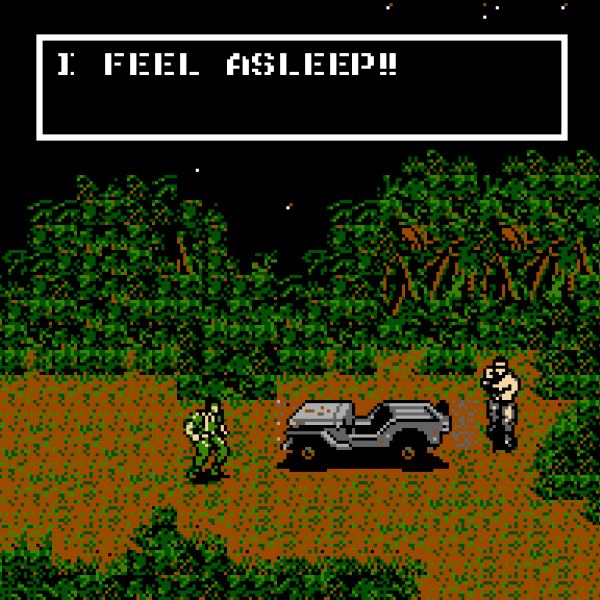 Important plot dialogue also suffered some bad translation after a while past the first two-thirds of the game. They weren’t removed. The music thing was cleared up by someone: apparently, the music files are missing for those early war battles, so when the game tries to load the appropriate music for those, it can’t find the files (because they’re not there in the memory) and it just ends up in silence. The singing NPC’s scene was also similarly affected. The Spanish translation is EVEN WORSE, coming like something Babelfish barfed out. The Chain Mail armor was translated not as armor but as the kind of letter that you send to many people so they send it to even more people, for instance. FF7 was rather bad too as was Pokémon Gen 1. The late nineties were a harsh time for Spanish RPG players, and not just for the lack of games. You have my sympathies. I’ve heard FF7’s French translation was beyond embarrassing. But this is hilarious and I can’t stop smiling at the idea. Yet another case of something being done rather poorly because the translators were either unsure or because they didn’t think we’d understand the Japanese and their bizarre sense of humor. Gooogly goo could also be interpreted as zombie sounds or something I guess. Of course, that makes no sense when it comes after talking about Neclord. Yeah, Suikoden’s great! I really recommend it. I always regret selling my copy of V though, since I haven’t played it since I was a kid and I keep wanting to go back to it. I’ve only played the first three games, and a bit of the fifth, but Suikoden 1 is the worst of those. A lot of things in it are just awkward and the artwork is bad. I heard it’s still better than Suikoden IV, though. Suikoden II is the best, but it has a grating tendency to make dozens of characters unavailable if you follow the most common sense paths. I always play with a recruitment guide nearby. Good thing Suikoden III has only a handful of characters who EVER become lost forever, but they exist. I’ve heard this Belly Button thing so many times in various anime and manga, but i really do not get why Japan considers it to be an insult. I’m sure it’s just a cultural thing, but i really do not get why the shape of one’s Belly Button is such a bad thing. Also, one of my favorite translations of the insult was in the old Funi-dubbed anime Desert Punk. In the first episode the main character taunts a bad guy by saying “Your mom has an outie”, and the dubbed changed it to “You mother’s a dirty whore”. Very effective. I thnk it’s because it’s largely unattractive and “cartoonish” to have an outie bellybutton. Ever notice those characters who have an outie in anime are usually the big, dumb and often fat archetypes. It’s like literally saying you’re a big fat stupidhead simply because of your bellybutton. To tell the truth, I actually think it could be gross to the Japanese, the same way as saying “Your father has a hairy back” is gross. It’s like me saying I need to do number two when I go to the toilet – too much info. I haven’t gotten around to Suikoden either. Xenogears was great though. The second disk is a little… less than great, but the game overall holds up really really well. Clyde, play Suikoden before it’s too late! It’s a fantastic series. Maybe you’d become an obsessive fan and take part in Suikoden day. It’d be Earthbound all over again! Ohhh! That explains its usage in Paper Mario: The Thousand-Year Door, when Grubba makes up trash talk against the Iron Clefts so they get mad at Mario.